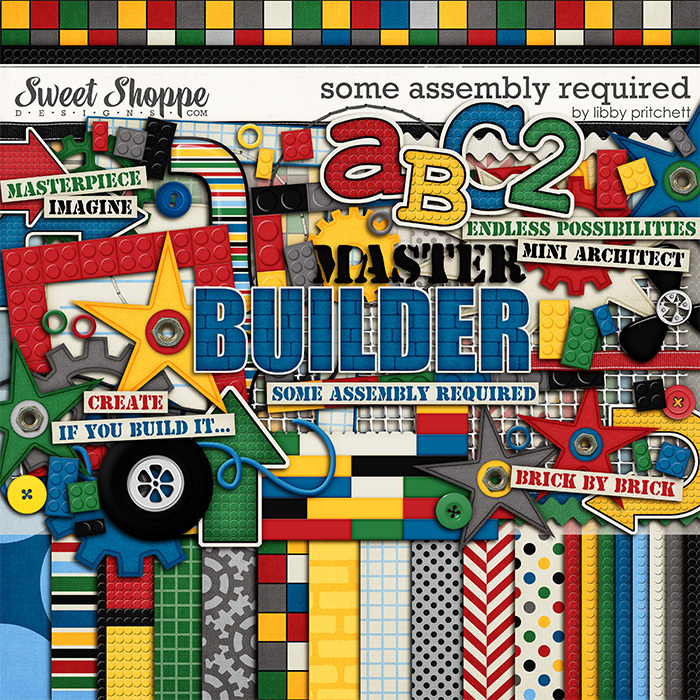 It's a Scooper Dipper weekend!If you've spent much time at Sweet Shoppe, you know that we designers love to work together. I think we probably do more in-store collabs than any other store because we love it so much! So, it should come as no surprise that one of my favorite promotions that we do throughout the year is our "Scooper Dipper" weekend events. 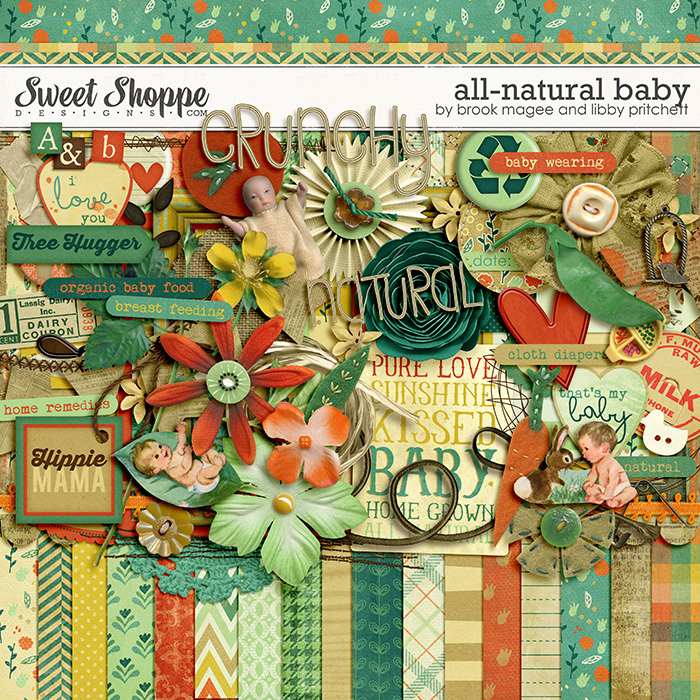 This week, several of us have teamed up to make lots of Two Scoop and Triple Dip collabs! And the best news of all? ALL new releases are 30% off til Sunday morning at 6am EST! 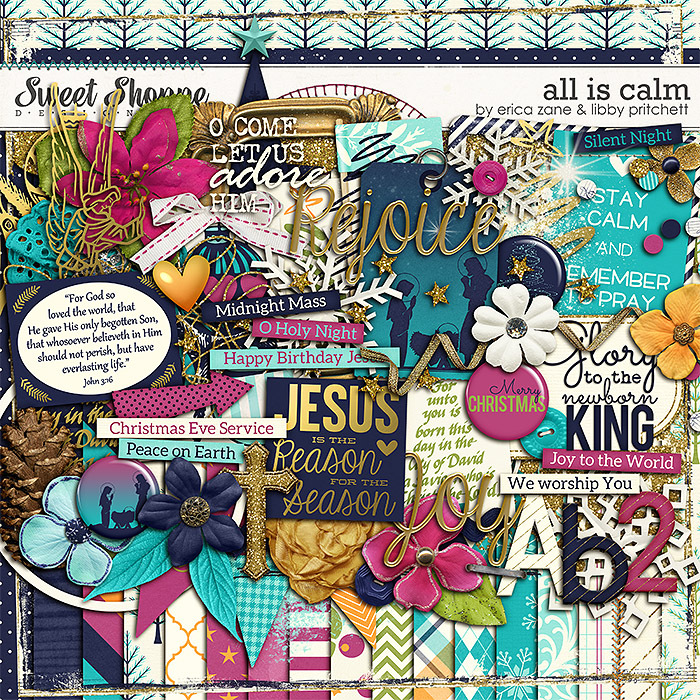 All is CalmFirst up, I have this gorgeous Christmas kit with Erica Zane! 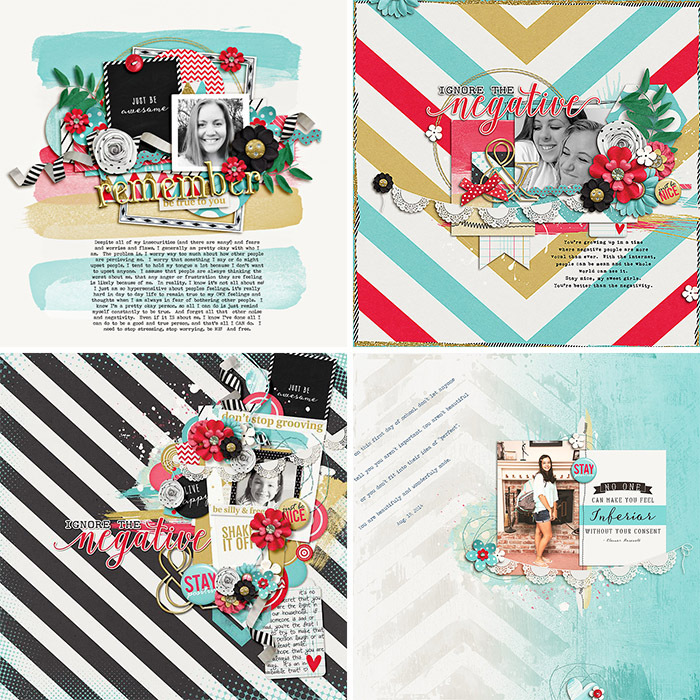 Shake It OffAlso new this week is a Triple Dip I did with Kristin Cronin-Barrow & Becca of Tickled Pink Studio. Our creative teams have been very busy this week! 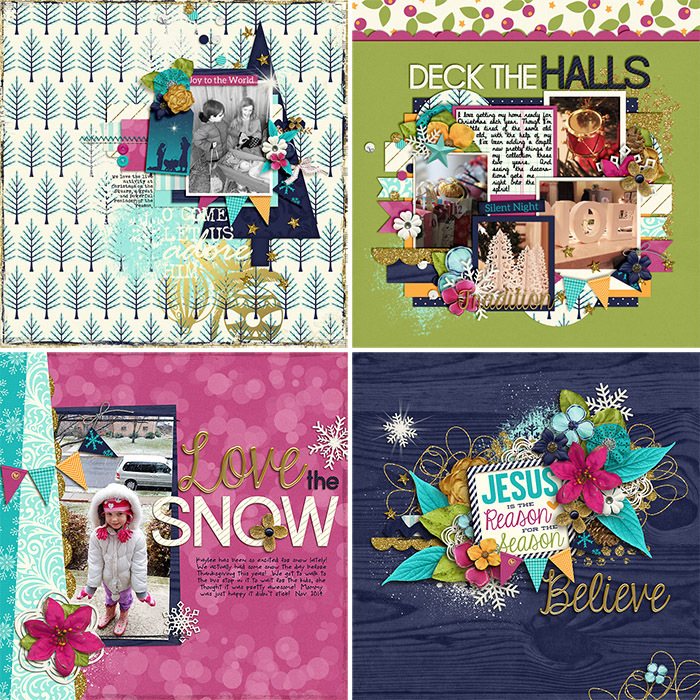 Check out these beautiful samples, and be sure to go to the facebook album for this kit to see even more! 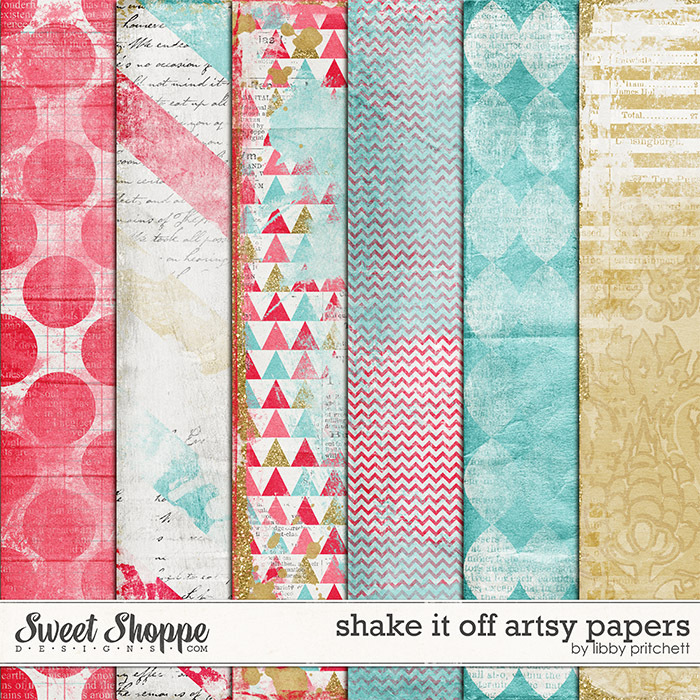 FREEBIE!It's been so long since I've offered a new freebie that I wanted to do up a few papers to coordinate with our Shake It Off kit as a little Christmas present for you! Just click the image below to download! New Bargain BitesIf you've been following along in our December Delights Advent Calendar, you'll know that today's special is 50% off all items in Bargain Bites! To celebrate, we all switched out our goodies, and I have these 3 treats to offer! Hurry though, the 50% sale only lasts until midnight EST tonight (Friday). After that, they go back to 40% until they are switched out again! We've just about hit that time of year where I'm starting to slow down a little on the design front. I'm taking a couple of weeks to relax and enjoy this Christmas season with my family. I've got a 2 year old who is VERY anxiously counting sleeps until Christmas, and I don't want to miss a minute of the fun! 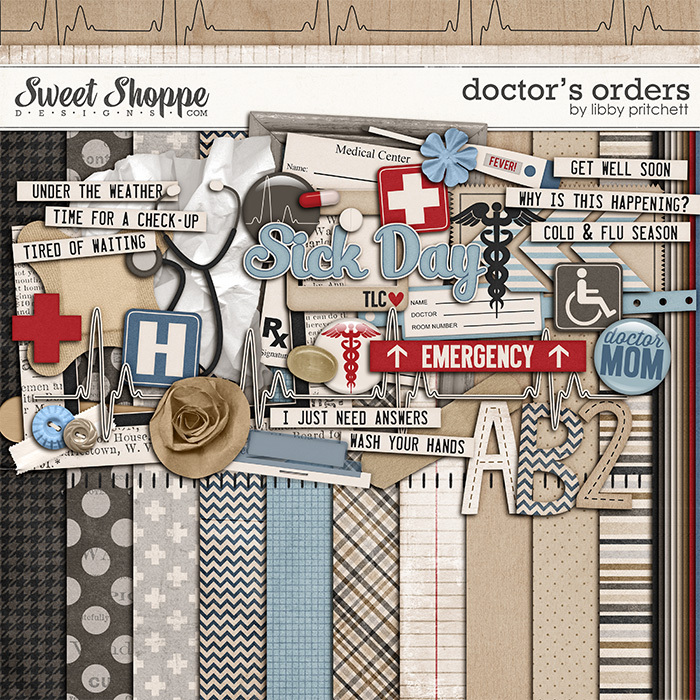 So, I'll be pretty quiet until the new year, but I'm really excited about what 2015 will bring for my designs and Sweet Shoppe! Merry Christmas!